Frequently, employers ask for references as a way of fact-checking a potential candidate’s past experiences so they can better evaluate how they might fit into their work environment. 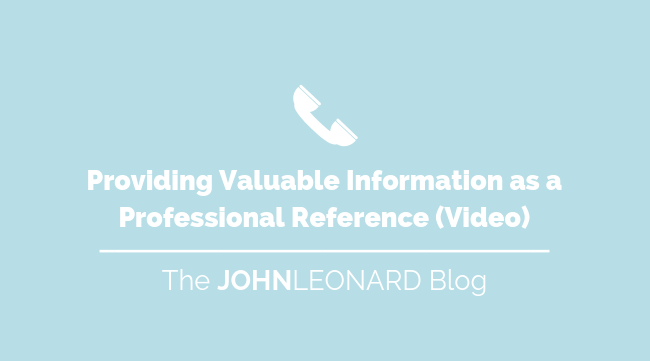 If you are asked to serve as a professional reference for someone, make sure that you are prepared in order to be as informative as possible when speaking on their behalf. 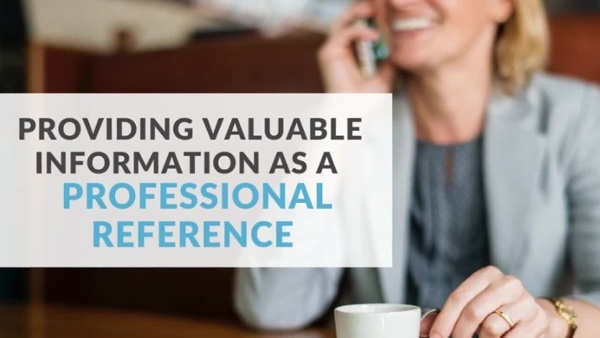 Take a look at the following quick video below for four tips to ensure you are providing valuable information when serving as a reference. This post was originally published on the JOHNLEONARD blog and written by Madison Norman.